Lower urinary tract symptoms (LUTS) is a common diagnosis among the aging population. Symptoms are classified either obstructive (hesitancy, weak stream, straining, and prolonged voiding), irritative (frequency, urgency, nocturia, urge incontinence, and voiding small volumes), or postmicturation (postvoid dribble, incomplete emptying). Most patients present with a combination of these symptoms. 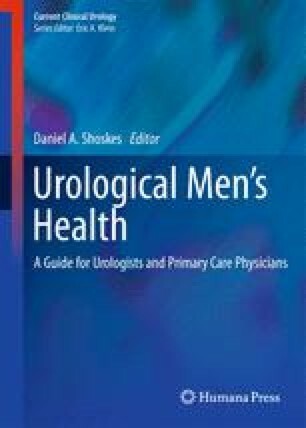 Multiple etiologies may underlie these symptoms including benign prostatic hyperplasia (BPH), extrinsic compression, prior pelvic surgery, pelvic radiotherapy, urethral stricture, and medications. We discuss the natural history, management, and treatment of BPH-related LUTS with medical management.